The announced new Merkel bolt-action rifle is one I've been shooting on and off since late last year. It finally has a name in the United States: the MHR16. It isn't really new at all, for this rifle is essentially just a renamed Haenel-Jaeger 10, sometimes referred to as just the Jaeger 10. That's all it is, the rifle I've been testing is a reboxed Jaeger 10 standard without the iron sights. The suggested retail price for the walnut R15 is $799, and the synthetic R15 is $699. Magnum: 7mm Rem Mag. ; .300 Win. Mag. Anyway, it is now the Merkel MHR16 imported by Steyr. The MHR16 does have a smooth bolt, with a 60 degree bolt lift, a generously oversized bolt handle, and a two-position safety that locks the bolt closed when engaged, which I appreciate. It takes Remington 700 bases and I installed a Warne one-piece rail, adding a Sightron SII Big Sky 3-9 x 42 scope. The Merkel's trigger is excellent, and although the walnut is just basic, grade one wood, it does have a very nice Monte Carlo cheekpiece. Over the last several months, this Merkel MHR16 has been to the range several times, tested with some seven different types of .270 Winchester ammo. It is a rifle that does just about everything except be accurate: it is about a 4 inch gun at 100 yards and even at just 50 yards it produces wonderfully triangle shaped groups of about 2 inches center-to-center. There is no way to characterize the accuracy as anything but unacceptable, not remotely close to the last several .270 Winchester bolt-action rifles I've tested that all shoot inside an 1-1/4 inch at 100 yards with very little effort and under far less than ideal range conditions. 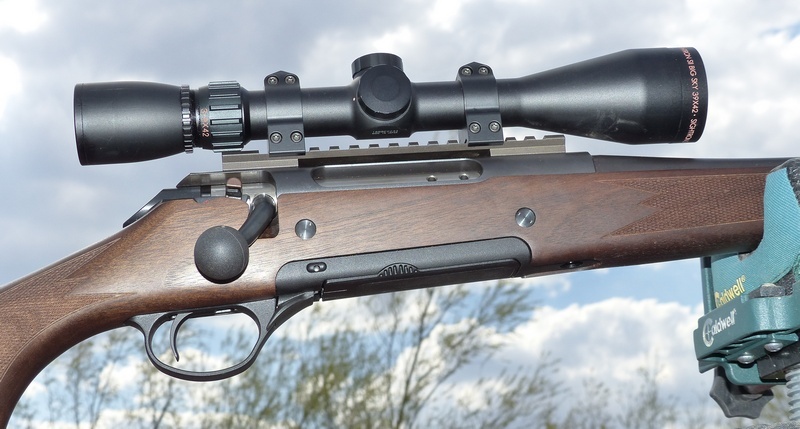 Compared to the recently tested Weatherby, Savage, Browning, and Mossberg .270 bolt-action rifles tested, this particular example of the Merkel MHR16 / Haenel-Jaeger 10 fares quite poorly. I find it hard to believe that all of the MHR16 rifles group this badly, so perhaps I'll give it another go with a different example. But, based on this single rifle, the MHR16 isn't nearly up to snuff.